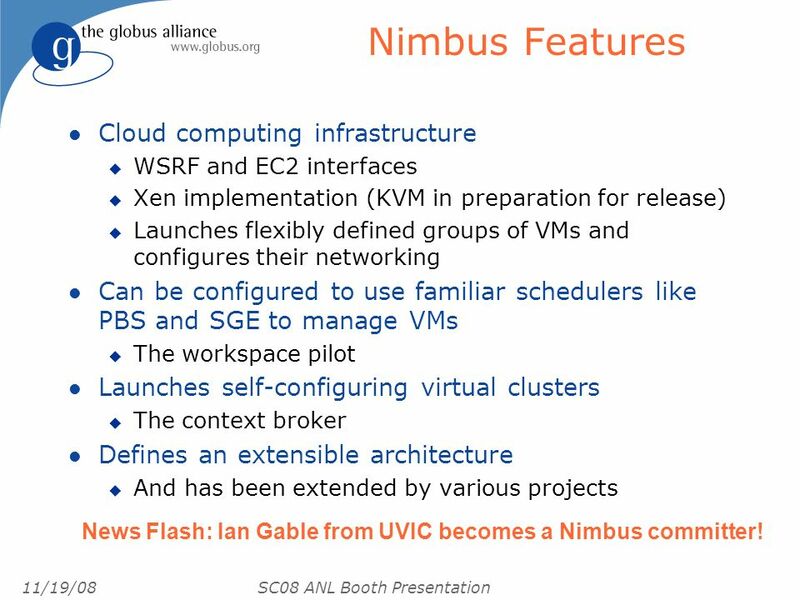 4 11/19/08 SC08 ANL Booth Presentation Nimbus Features l Cloud computing infrastructure u WSRF and EC2 interfaces u Xen implementation (KVM in preparation for release) u Launches flexibly defined groups of VMs and configures their networking l Can be configured to use familiar schedulers like PBS and SGE to manage VMs u The workspace pilot l Launches self-configuring virtual clusters u The context broker l Defines an extensible architecture u And has been extended by various projects News Flash: Ian Gable from UVIC becomes a Nimbus committer! 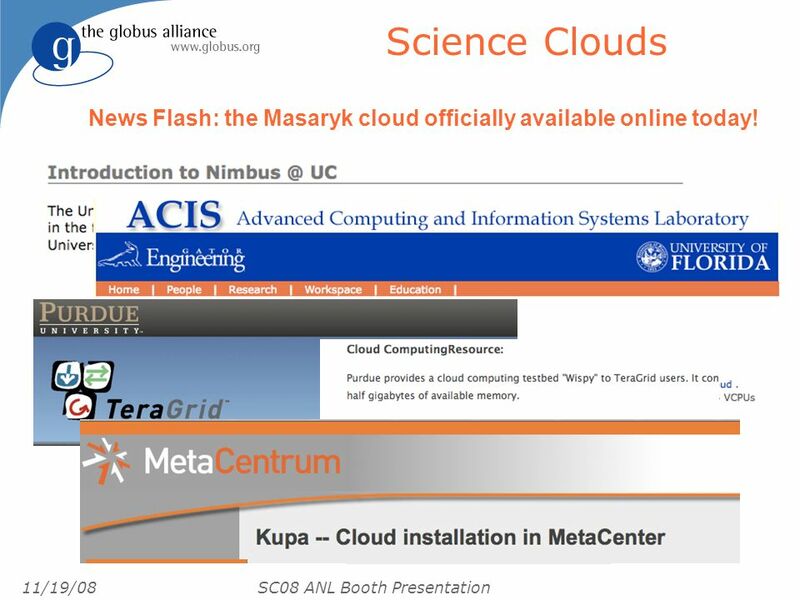 6 11/19/08 SC08 ANL Booth Presentation Science Clouds News Flash: the Masaryk cloud officially available online today! 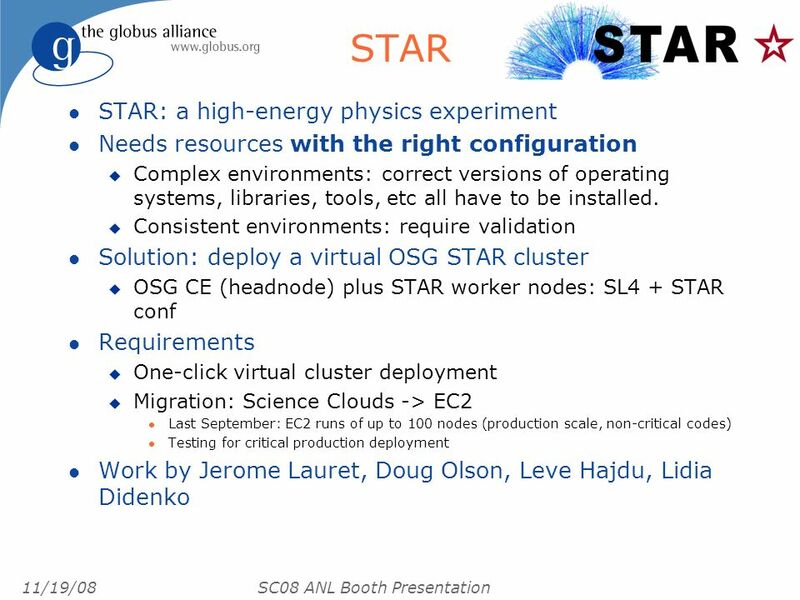 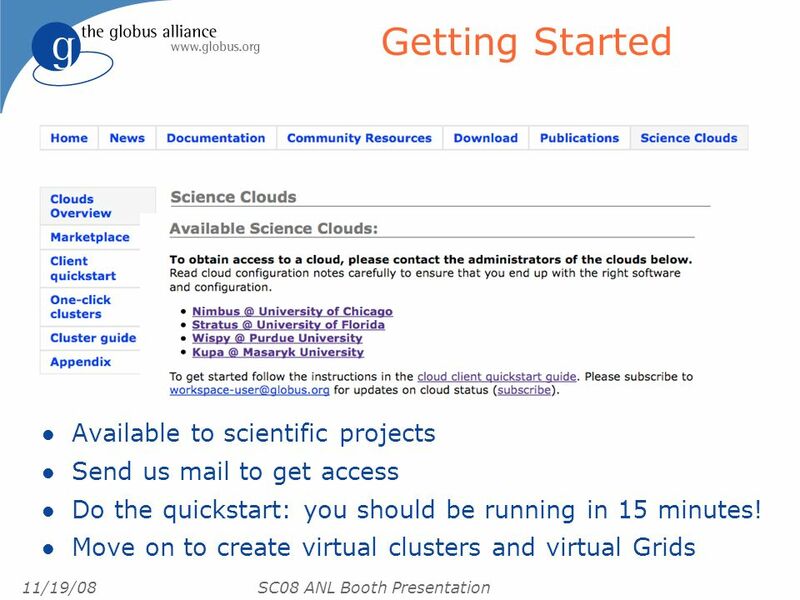 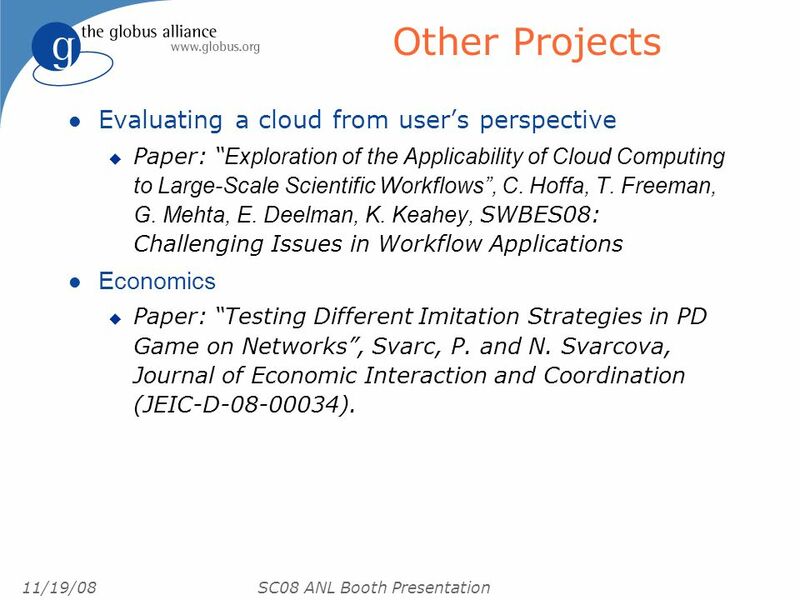 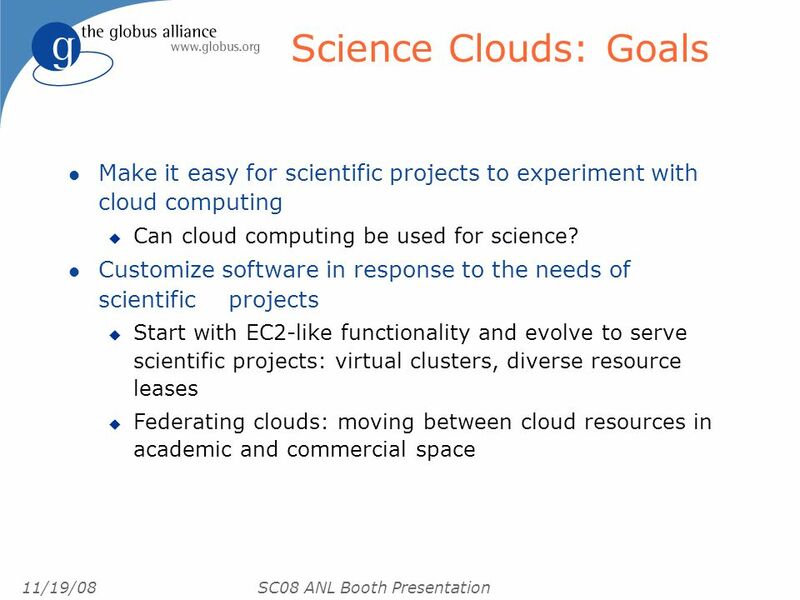 13 11/19/08 SC08 ANL Booth Presentation Other Projects l Evaluating a cloud from users perspective Paper: Exploration of the Applicability of Cloud Computing to Large-Scale Scientific Workflows, C. Hoffa, T. Freeman, G. Mehta, E. Deelman, K. Keahey, SWBES08: Challenging Issues in Workflow Applications l Economics Paper: Testing Different Imitation Strategies in PD Game on Networks, Svarc, P. and N. Svarcova, Journal of Economic Interaction and Coordination (JEIC-D-08-00034). 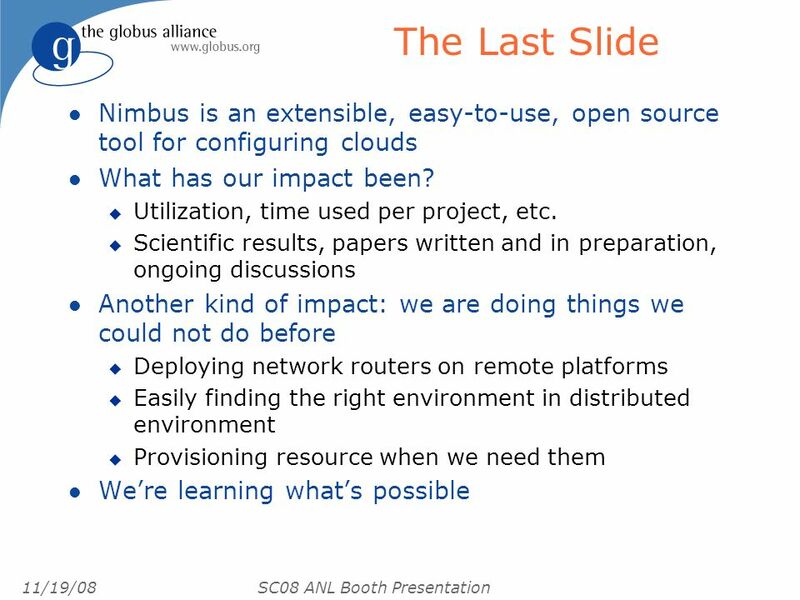 Download ppt "Nimbus or an Open Source Cloud Platform or the Best Open Source EC2 No Money Can Buy ;-) Kate Keahey Tim Freeman University of Chicago." 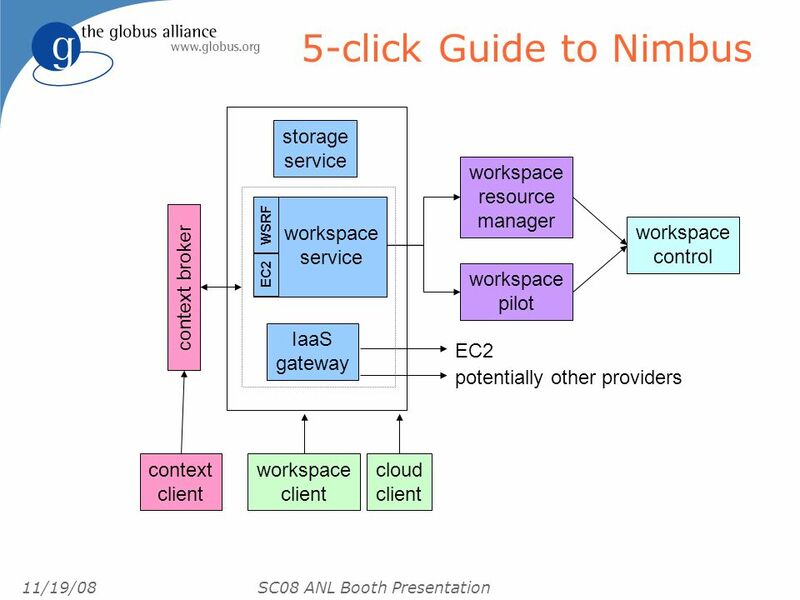 The VM deployment process has 3 major steps: 1.The client queries the VM repository, sending a list of criteria describing a workspace. 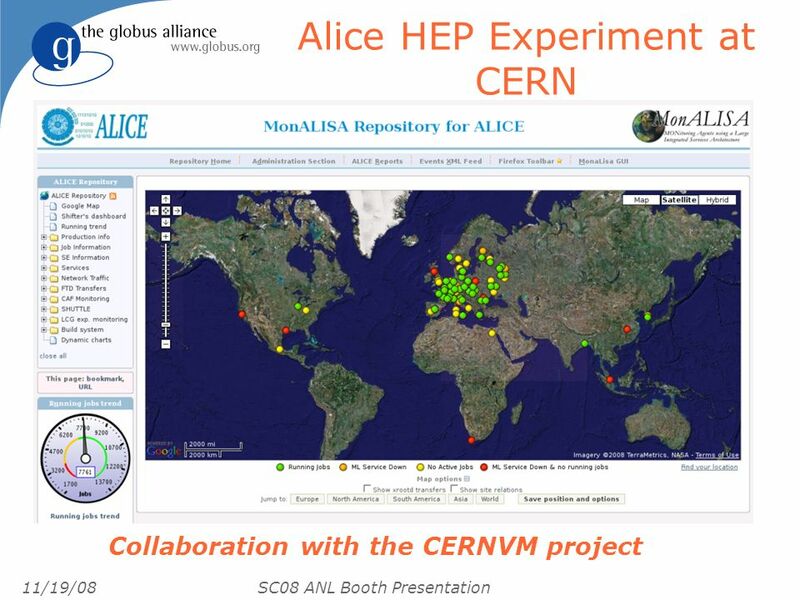 The repository. 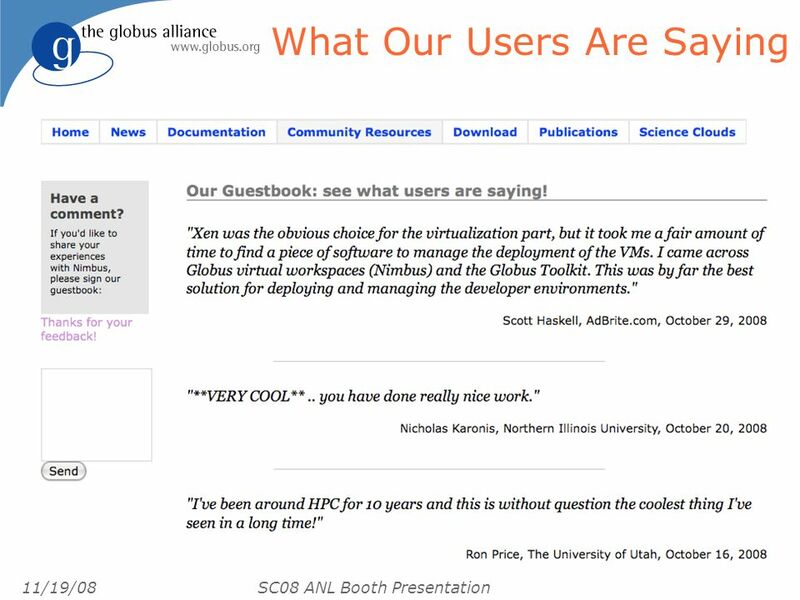 © 2012 Open Grid Forum Simplifying Inter-Clouds October 10, 2012 Hyatt Regency Hotel Chicago, Illinois, USA. 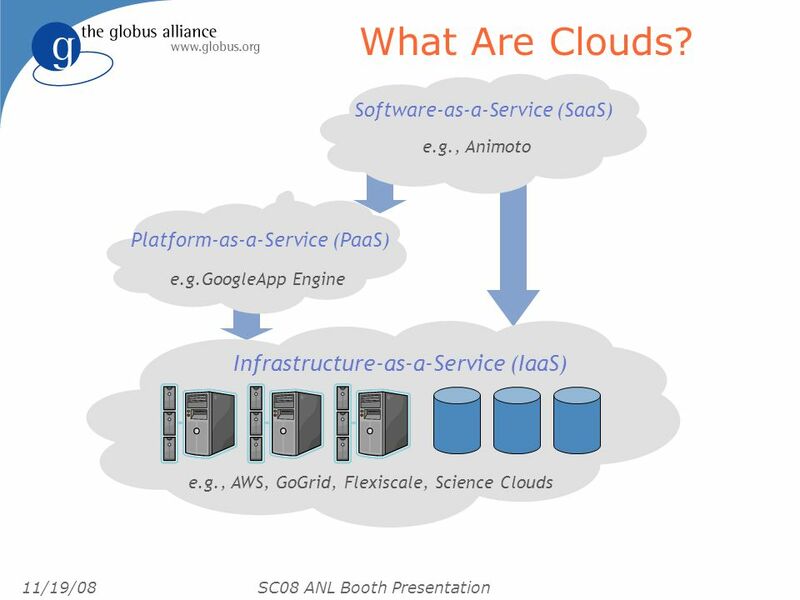 SZTAKI Cloud akadémiai vonatkozása Kecskeméti Gábor MTA-SZTAKI Párhuzamos és Elosztott rendszerek kutatólaboratórium. 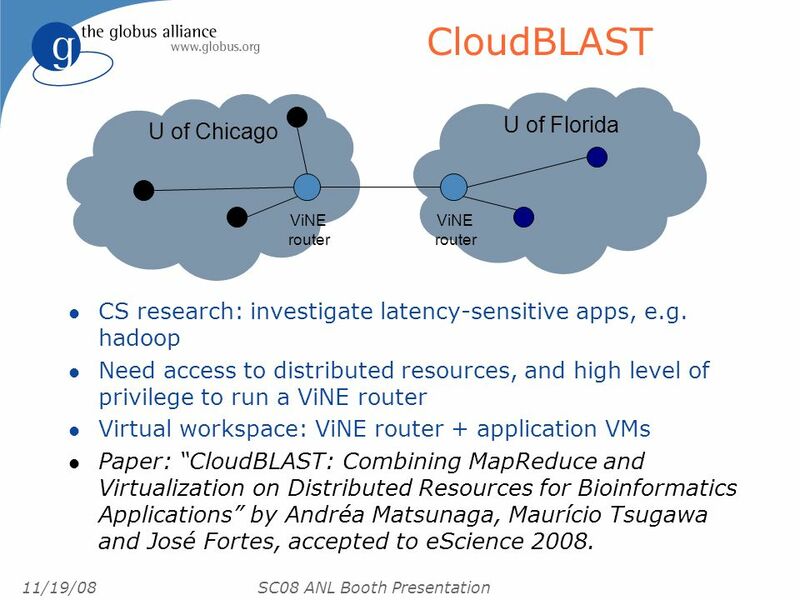 1 Applications Virtualization in VPC Nadya Williams UCSD. 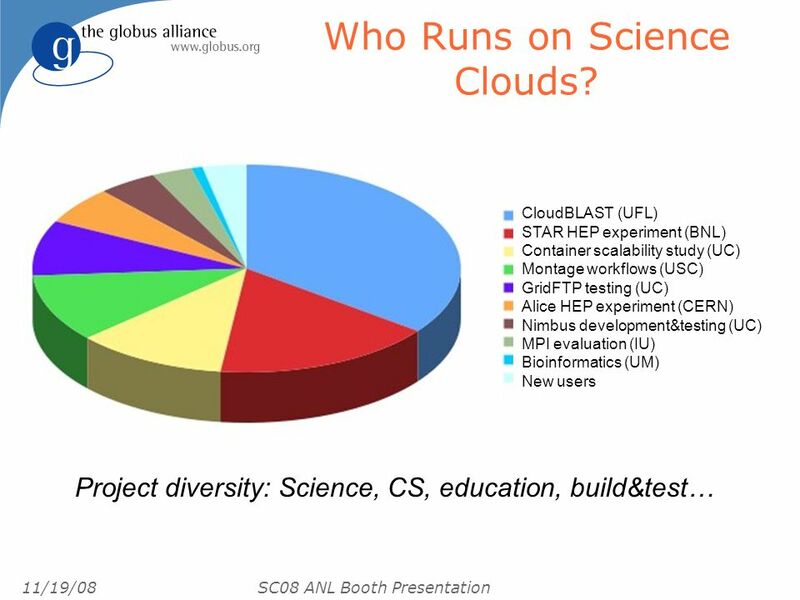 Nimbus & OpenNebula Young Suk Moon. 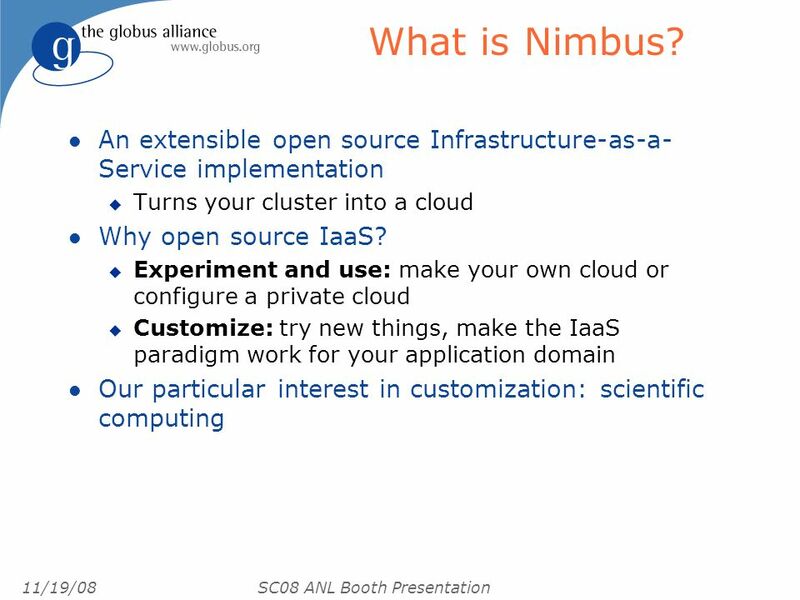 Nimbus - Intro Open source toolkit Provides virtual workspace service (Infrastructure as a Service) A client uses.